The dust of an international move filled the last many months of my life. Writing for the public during this swirl of emotions felt pretty risky. The things I post to the internet remain somewhere. I wasn’t sure what I was writing needed to remain anywhere except locked up in a journal! We moved back to the U.S. of A. 5 months ago. The move began way before we told anyone. It began a year ago. Our life was shifting and we felt it long before we said it. We felt weary. It wasn’t the kind of tired that a brief time in America or a vacation could relieve. At the same time our work went through major changes and while we could have stayed longer, we felt our best contribution was coming to an end. It was time. I don’t know how to say it more than that it was time for us to go. Preparations and goodbyes consumed the next few months of our lives. Much of that time I mentally engaged in an ancient tradition straight from the Bible. 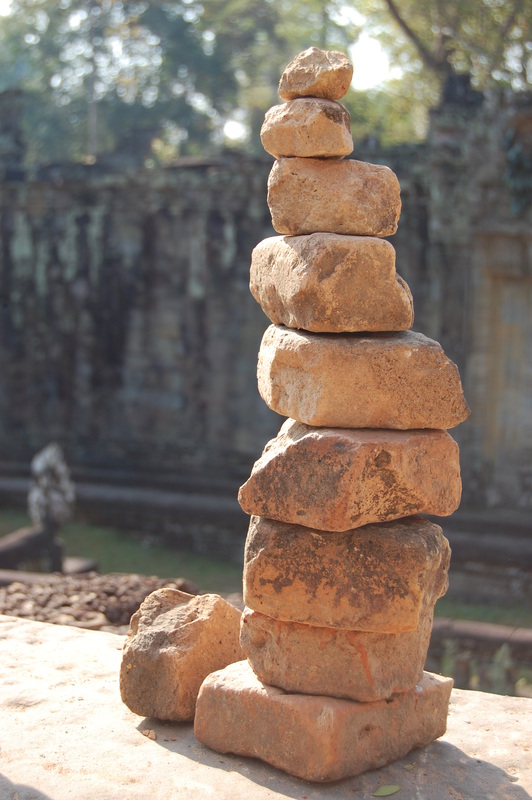 I stacked the rocks of memories from our 13 years in Asia and attempted to give thanks for all that I’d experienced and learned during my time as a foreigner in a strange land. It was a bittersweet time of farewells, tears, and thankfulness. Of course I engaged the Lord over a few regrets of things I wished I’d done, friendships I ran out of time to deepen, and work left to others to carry on. Releasing the past and the future was and still is my work these days as I continue to adjust to this new life I find myself living in America. Over the past month my desire to write on my blog grew from a small spark to typing in my password and, now, writing a post. It feels good to arrive at the place in this transition to want to continue blogging. And, when I hit publish I hope the silence of the past months gives way to more regular posts! Welcome Back. I pray for you as you continue to adjust. Keep the blogs coming – they are always very meaningful and insightful. Thank you Mandy! I am ready to get back to once a week. Welcome back to the US! I’d love to catch up with you. Hope all is well.